A full, healthy head of hair is a sign of youth. The surgeons at The Oaks Plastic Surgery Offer a variety of treatments to help restore a youthful hairline for males with male pattern baldness, females with alopecia from age or after childbirth, or for reconstructive cases such as burns or trauma. Modern hair transplant uses your own hair follicles to transfer grafts to the anterior hairline or patchy areas of hair loss. This is done 1-2 follicles at a time to ensure natural looking results with no visible scarring. This procedure is performed comfortably under local anesthesia with mild sedation. There is minimal down time or risk. Recently, the restorative benefits of PRP (platelet rich plasma) have been at the forefront cosmetic and reconstructive surgery news. PRP has been shown to stimulate and promote healthy hair growth. This is a minimally invasive procedure requiring no anesthesia and no downtime. Why do you want Hair Restoration? For men, a youthful hairline often makes men look and feel more confident. For women, hair loss is incredibly embarrassing and can affect your personal and professional life significantly. What procedures are often performed along with Hair Restoration? Hair transplant is often performed alone; however, many patients who benefit from hair restoration may also benefit from anti-aging skin care, minor procedures, or surgical procedures for a generalized more youthful appearance. The Oaks Plastic Surgery Philosophy on Hair Restoration? Dr. Danielle Andry and Dr. Nandi Wijay were all fortunate enough to learn hair transplant techniques from one of the true innovators in the field. They all believe in natural, subtle restoration of a more youthful hairline. This requires placement of several individual hairs separately. Hair does not grow in straight, uniform rows; therefore, the surgeons at The Oaks Plastic Surgery place hairs precisely to create a natural looking hairline. While this is tedious and takes time, the surgeons at The Oaks Plastic Surgery think it is well worth the investment. What you can expect on the day of surgery? Hair Transplant Surgery: On day of surgery, your surgeon will meet you in the preoperative area to go over any last minute questions or concerns you may have. He/she may make some preoperative markings and will perform extensive checks and attention to detail ensuring high quality care and safety. During the procedure, our surgeons pay meticulous attention to detail and work as a team to ensure a great result. Your family will be updated of your status periodically and will be able to talk with the physician one-on-one after the procedure is completed. You will be placed in a surgical dressing after the procedure and can go home after the procedure is complete. 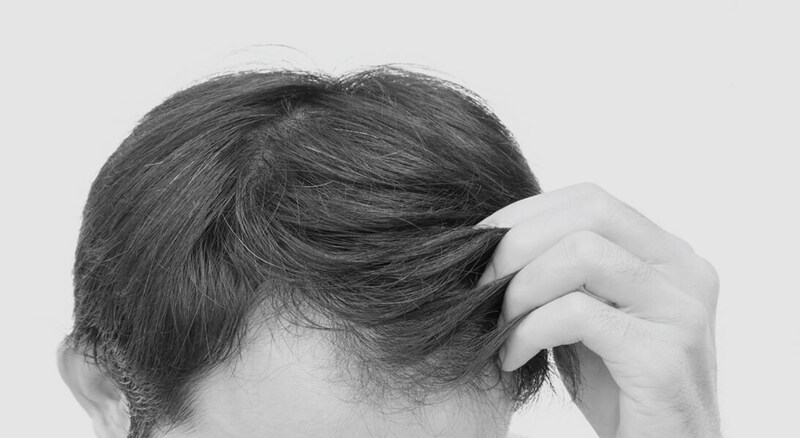 PRP for Hair Restoration: On the day of your procedure, you will be greeted at The Oaks Plastic Surgery Clinic and will be brought back to the procedure room. Numbing cream can be placed to minimize any discomfort from the injections in the hairline. Your blood will be drawn and spun down to obtain the PRP, which will then be injected into the areas of hair loss.